SolarCity held its analyst day during one of the more ulcer-inducing legislative weeks in the solar industry's history. The company held a more consumer-focused town hall meeting this week as well. During the company's most recent earnings call, the solar installer/financier announced a strategic move toward cost reductions and slower growth with the looming threat of a drop in federal tax credits at the end of next year, a situation soon to be settled by Congress. 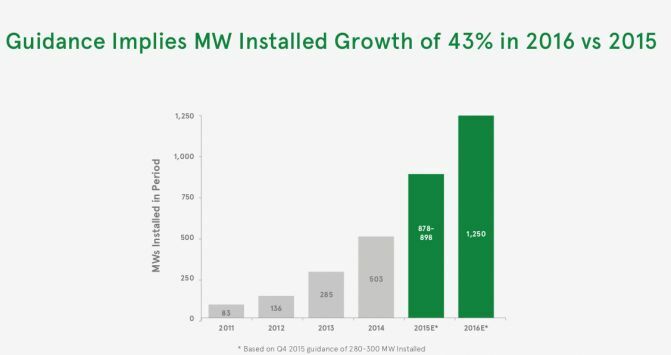 Note that a reduction in growth rate for SolarCity means cooling down to a mere 43 percent year-on-year growth. The company reiterated its 1,250-megawatt 2016 guidance. CTO Peter Rive noted that the Silevo solar module factory in Buffalo, New York was on schedule: the roof is in place and the initial delivery of equipment is slated to arrive in the second quarter of 2016, with a goal of achieving gigawatt-scale production by mid-2017. During the town hall, CEO Lyndon Rive said, "One of the reasons we brought manufacturing to the U.S. (in fact, we bring a lot of jobs back to the U.S. because of manufacturing) is...to change regulation, [so] you have to have a real industry. Back in 2000, 2001 and 2002, as the solar industry was getting going, there weren’t many jobs. And without creating a big industry, without creating lots of jobs, you’re not going to get political leaders to disrupt the incumbent monopolies. But now, we have a real industry. Today, the solar industry employs over 170,000 people in the country. We employ more people than the coal industry does. In California, the solar industry employs more people than the five big utilities combined. So, it’s really starting to make an impact. And then you add bringing the manufacturing back to the U.S., [and now] we...can really get politicians. And politicians want to support us. So, the combined effort of getting...politicians to hear the customers’ voice, and the jobs that we created -- we can change law and really transform our energy infrastructure from a fossil fuel to renewable infrastructure." CTO Peter Rive discussed how the addition of storage to a solar farm on Kauai creates what he called a "new class of generator." 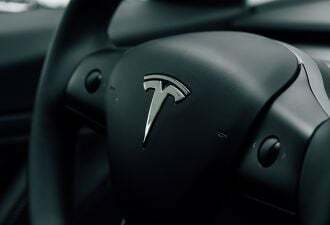 He also said that the roughly $0.14 per kilowatt-hour PPA price is "already beating diesel." Baird: An ITC extension would drive shares higher near-term, although we remain sidelined given SCTY’s valuation methodology, business strategy shift, and capital markets needs. SCTY believes it will acquire more leads through referrals, which have the lowest [customer-acquisition cost]. 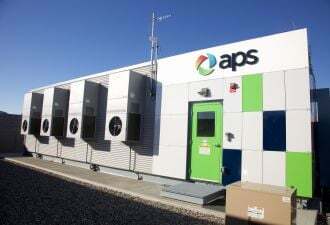 Additionally, SCTY plans to reduce installation costs from $1.92/watt to $1.50/watt through reduced hardware ($0.22), optimizing operations ($0.10) and other initiatives ($0.10)." Oppenheimer: "With $2.6B of liquidity available, SCTY is in a strong position to execute on its growth plans, but we believe the company is best served by efficiently recycling capital. While SCTY has pioneered asset-backed securitization for distributed solar, it remains clear that solutions for solar financing are still evolving and improving. SCTY is working to prioritize low-cost acquisition channels such as referrals (35% of installs currently)." Canacord: "All eyes remain focused on any possibility of an ITC extension in a tax extenders bill before the [federal] government's holiday break. Although we see glimmers of optimism from SolarCity and the industry in general, we're not willing to assume an ITC extension (although we acknowledge that this would be positive for SolarCity and the rest of the industry). [...] Although the entire rooftop solar industry seems to be entering a phase of slower growth, SolarCity seems to be managing this slowdown relatively well. Despite the fact that SolarCity's recent business model change has been met with much disappointment in the markets, the company made the right move by shifting its attention to costs." Baird: "An extension of the U.S. Investment Tax Credit would be significantly positive, and we would be aggressive buyers of SPWR and FSLR. SCTY will likely have greater near-term upside gains, although we believe SPWR is best positioned in the long term. HASI will benefit through increased deal opportunities, and YieldCos should benefit from lower-priced projects. The House is expected to vote on this by Friday, but checks indicate the deal is largely complete." 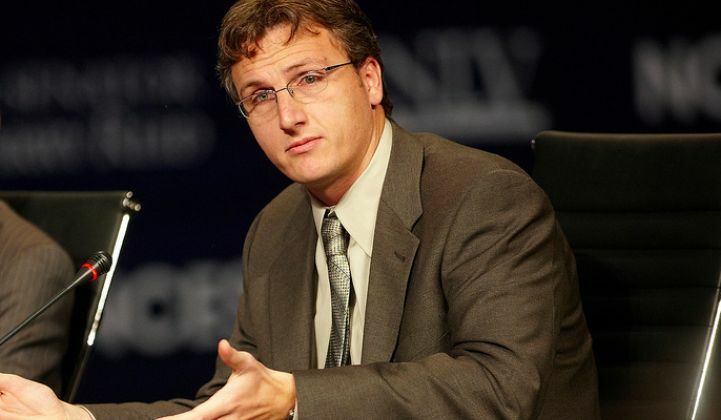 During SolarCity's recent town hall, CEO Lyndon Rive spoke about utilities: "They’ve never had competition. It’s always been a monopoly. They’ve never given consumers a trace on how they can consume energy. You get a bill and you have to pay it; you have no right of saying how the energy should be created at all. You just get a bill. And so without competition, there’s no innovation. That’s why [the] price will continue to go up. The way the utility business model works is the more they invest, the more cost they have, the higher their profits. [With] most businesses, you have competition...which drives you to have innovations. The number-one cause of innovation is competition. 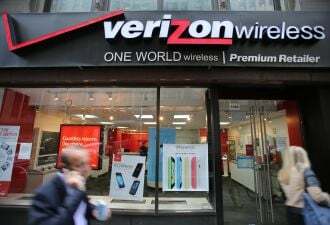 And when you have competition, you focus on driving down your cost, so you can provide a better service and a better product to your customer, but not if you have a monopoly. "And so a lot of the utilities out there are going to try to stop the movement of solar. They do not want to see this competition. They do not want to give consumers choice on how to consume energy. They don’t want to see a transformation. Remember, I said the mission of the company is to transform the way energy is delivered...and the utilities are going to try to stop that."